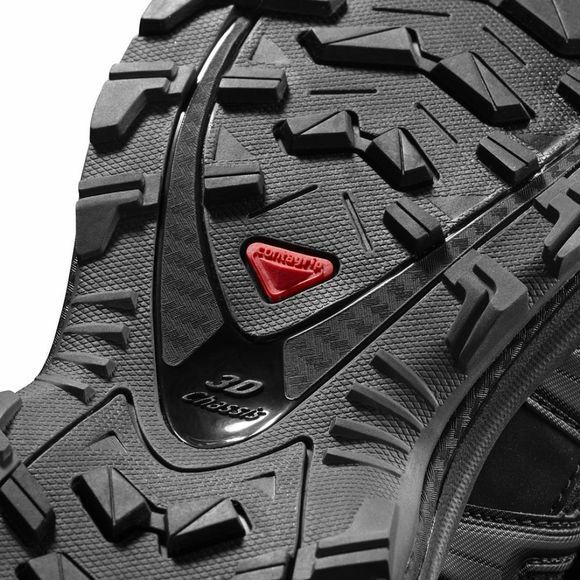 The Men’s XA Pro 3D GTX Shoe is a classic trail race shoe with proven performance at the highest level. 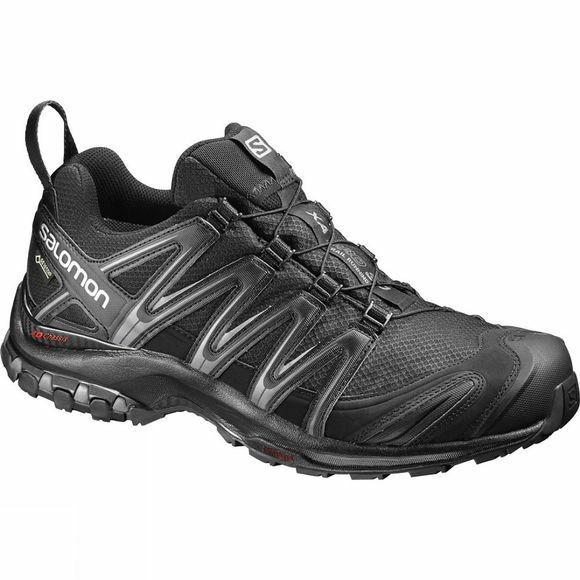 With Salomon’s popular modifications, from your first step to the last, you’ll be amazed by the fit, stability, durability and grip. The incredible stability is achieved by the Advanced 3D Chassis. It combines flex in the forefoot with plenty of support under the heel to help propel you along. An EVA rebound midsole adds extra comfort. The Quicklace system gets you ready-to-run in seconds. Just pull the cord, slide and hide the toggle and excess lace in the pocket at the top of the tongue.